Your next Vacation get away! 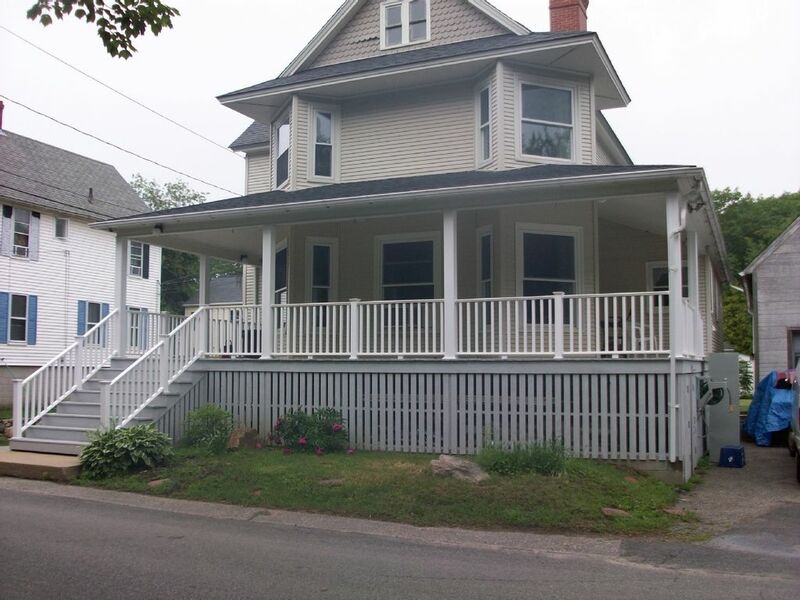 1) Recently updated 6-bedroom Victorian house. 2) Close proximity to beaches and area attractions. 3) Plenty of amenities and space on the property for your family and friends - parking, large backyard, family room. Email to book your vacation at York Beach today! MUST BE 25 YEARS OF AGE TO RENT THIS PROPERTY, PERIOD. Things to do and places to go: There is a less than 5 minute walk to beach and downtown area. You do not have to drive. This house features tons of parking, large backyard,wrap around farmers porch, and back yard patio. This is the perfect place for a get away. Once downtown there are lots of shops to choose from. You have the option to go bowling, play arcade games, retail shops, and all different types of restaurants to choose from. Also there is an amusement park with rides and a zoo, which is fun for the whole family. Check in is 3pm. Check out is 11am. No exceptions. Weekly rentals are from SATURDAY TO SATURDAY. When available, additional nightly rates can be added to your weekly rental. Typical rates are $350 per night/3 night minimum. This is only in the off season. A refundable security deposit of $500, is required, and is not included in the rental price. After your stay, upon a final inspection, your security deposit will be mailed to you within 10 business days. Home away also offers damage protection for up to $5000 for only $99. We reserve the right to cancel your time slot if we have not received payment within 2 business days. This property is a 5 min. walk to Short Sands beach and the center of York Beach. There are well lit sidewalks from our property to the center of town. Freeman St. is a quiet street and runs parallel to rte 1a (cape Neddick Rd). Excellent location and plenty of room in home for large family. Great location, sleeps lots of people. Everything you need is there. Lots of parking. This is our 4th year staying in this house and we love it! When we walk in, all of the kids say "it feels like we are home". It is a very short walk to Short Sands beach, a short drive to Cape Neddick beach (the kids love looking for hermit crabs at low tide) and near all of the fun shops and restaurants in York Beach. The house itself is huge, plenty of room for our 4 adults and 6 kids. It is an older home, which is kept very clean but it is definitely "lived in". We like that for the kids! It sits on a double lot and the back yard is off of a dead end street so the kids can play safely outside. We enjoy our stays here very much! Very comfortable stay. Third year staying there. House was clean including the bed rooms. Great location for a family gathering. York Beach itself is great as well as many activities for all ages. We hope to return next year. Golf: There are 3 golf courses within 15 minutes of our house.